Most people have spring cleaning rituals. Cleaning carpets, turning the mattresses, airing out upholstery... seasonal cleaning of your home's ventilation system should be on the list, as well. We recommend that, as part of your spring cleaning, you see whether it is time to have us come out to make sure that your air conditioner, vents and air ducts are in top condition. Is there a build-up of dust or dirt there? When you turn on your ventilation system, is there a burned, dusty or moldy scent? Are you noticing that the volume of air coming out is less than you are used to? These are all signs of dirty or even clogged AC vents and ducts. Dust and mold that builds up inside your home's air conditioning ducts can be harmful to your family's health. In Florida, we are particularly prone to a toxic form of black mold, whose spores are a significant respiratory irritant. If these contaminants escape into the air, they can contribute to indoor pollution. People with asthma or allergies, the very young, the elderly, and people with suppressed immune systems are particularly vulnerable to health problems caused by poor indoor air quality. By getting your ducts cleaned, you can reduce your risk from these indoor allergens and irritants. Prevent bacteria and mold build-up in the future, consider adding UV filters to your air duct system. UV filters use light to kill organisms before they can enter the air in your rooms. 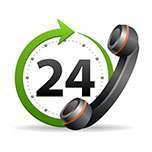 We have a number available that can fit any air conditioning system. 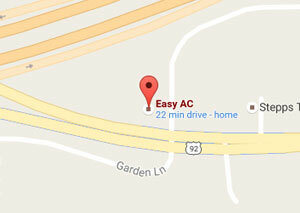 Cleaning is not the only regular maintenance your AC system needs. In addition to making sure that your system is clean, we recommend making sure that it is in optimum working order. We have created a 16 point checklist of semi-annual A/C services for your home.